The aircraft is dropping bombs, there is a depiction of an explosion over a river with docks. In the distance searchlights are focused on a target. There is some anti-aircraft fire. The names of the crew are written on the card – 'Sgt Lennox, Sgt Archer, P/O Quinn, Sgt Jordan, Sgt White, F/Sgt King, Sgt Page'. 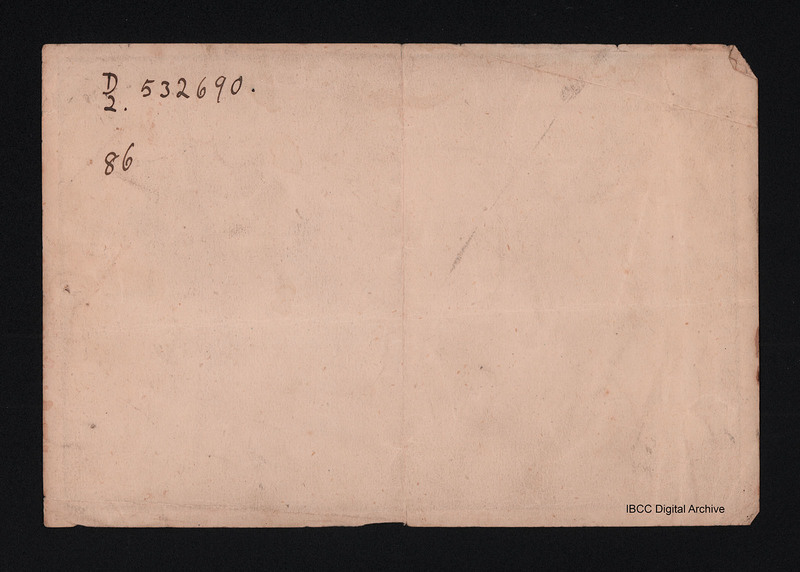 Also written are '97 Squadron Milan, 14/15.2.43.' On reverse ‘D 532960 2 86’. 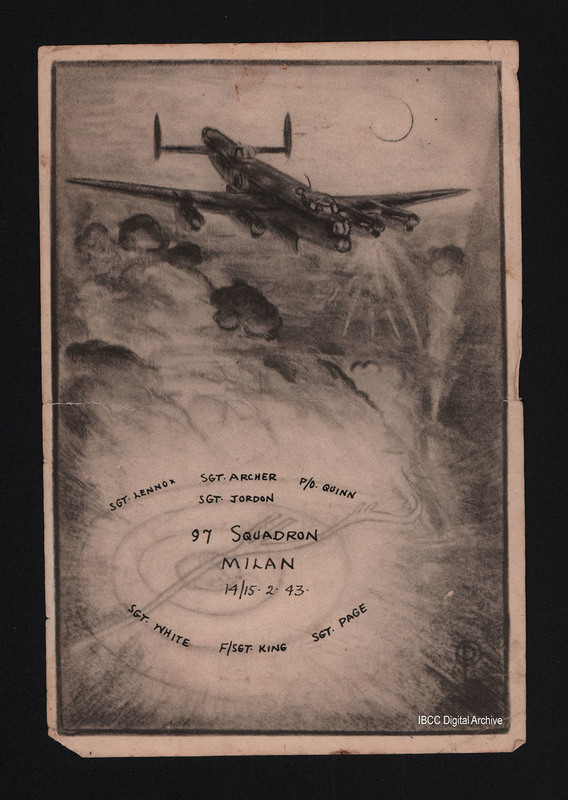 “97 Squadron operation honours, Milan, 14/15 February 1943,” IBCC Digital Archive, accessed April 21, 2019, https://ibccdigitalarchive.lincoln.ac.uk/omeka/collections/document/961.